Get the long red hair that nature forgot to give you with this Long Wavy Red Wig! Whether you’re planning on dressing like your favorite mermaid princess in a seashell bra or you just want to enjoy being a sassy siren in a glamorous gown and glitzy jewelry, you can shine like a star with a stunning head of hair this Halloween. This piece has a mesh cap that features elastic bands in back that can be hooked at different lengths to adjust the size, so its a perfect fit for your knock out look. Everyone knows that neither blondes nor brunettes have half as much fun as redheads, so get the scarlet look you love without that super fair skin that’s prone to sunburns. 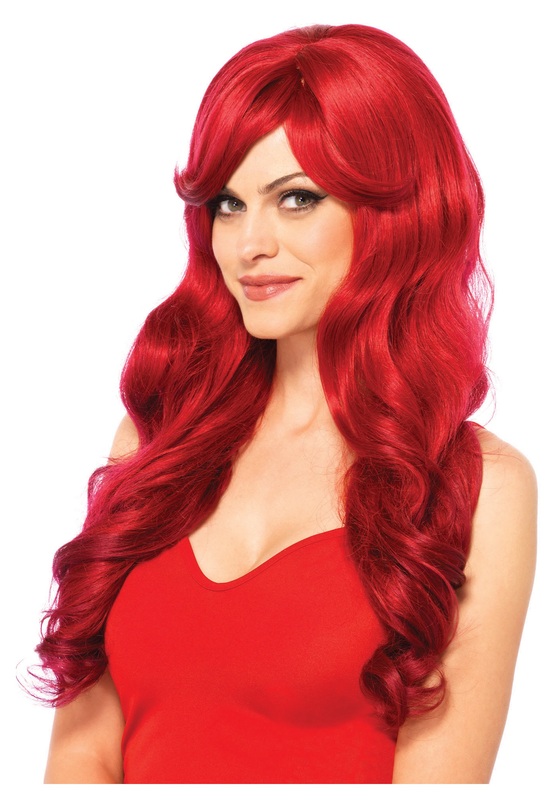 We bet you’ll love life as a redhead so much, we may find you sporting this wig long after Halloween has passed.